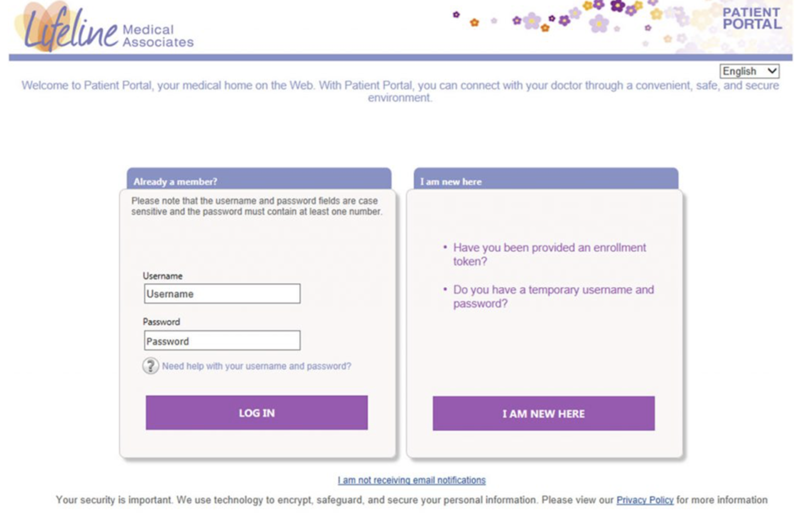 If you recently visited us and gave your email address to the front desk staff, you may have been automatically enrolled in the patient portal. An email would have been sent to you from Lifeline Medical Associates with your temporary username, password, and security answer. Once you receive the email, go to www.NextMD.com and enter in the credentials under the “Already a Member?” section. – If you did not receive this email, be sure to check your Spam or Junk folder for this message. – If you did not supply your email address to the front desk staff and would like to enroll in the patient portal, contact your office and ask for a token to sign up for the portal. Once you receive that token, go to www.nextmd.com and click on the I AM NEW HERE button to begin the enrollment process. Select the option that best fits your scenario. Fill out the information requested and click Submit. 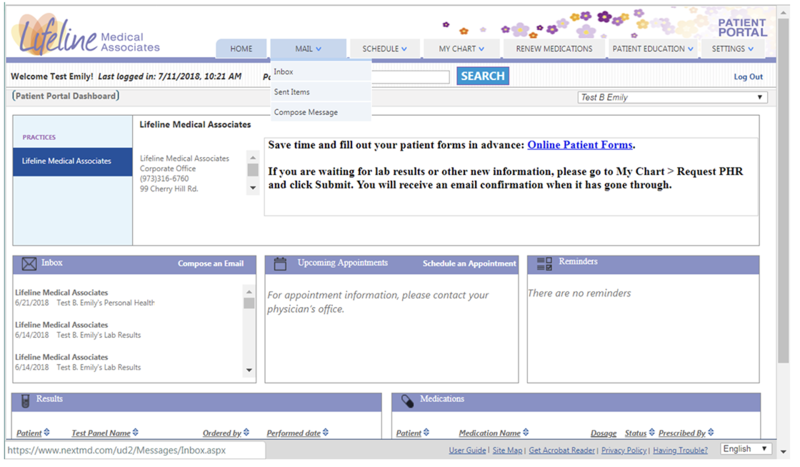 You can send a non-urgent message to your provider team through the patient portal. If you receive a message to your portal, an email will be sent to you letting you know a new message can be reviewed on the portal. 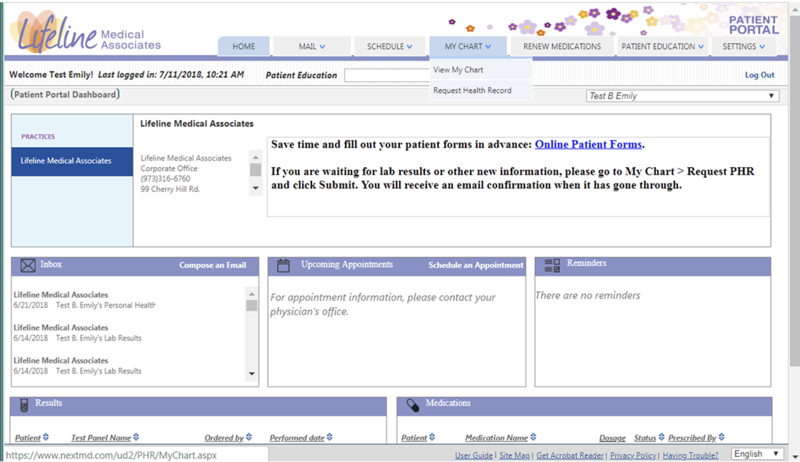 You can view and print your health records and lab results through the Patient Portal. A new request must be submitted for each record so that we can send the more recent information. Once your request is approved, you will receive an email notification. If you cannot log in try the instructions above on how to reset your login. Then try www.nextmd.com and then email our office manager Lauren at lbock@lma-llc.com. Please remember all of your login info is case sensitive. The token we issue you is only valid for 30 days. Please email us if it has expired. If you cannot find a message, look in the spam folder of your email. The system will lock you out for 30 minutes after 3 failed attempts at login. It may take up to 2 business days until you hear back on your message. Please telephone us if it urgent. If you need more updated info go to mychart tab> request health record to request records. Please give our staff time to fill your request.